Ben Simmons added 21 points, Boban Marjanovic had 19 including three free throws in the final 1 1/2 minutes and Jimmy Butler 18. Embiid will be out at least a week with a sore left knee. 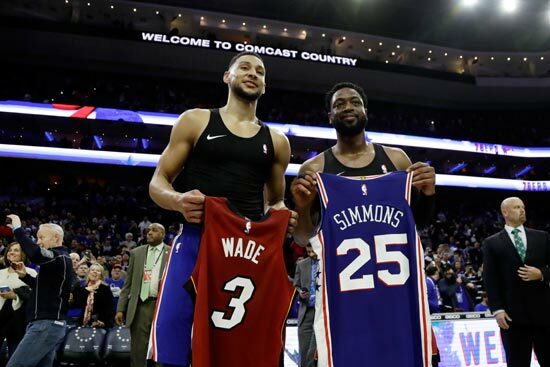 Philadelphia/New York/Cleveland: Tobias Harris had 12 of his 23 points in the fourth quarter, JJ Redick hit a late 3-pointer and the Philadelphia 76ers overcame All-Star center Joel Embiid’s absence to beat the Miami Heat 106-102 on Thursday night. Cedi Osman scored 19 points, Kevin Love had 16 points and 11 rebounds and Cleveland sent Phoenix to its franchise-record 16th straight loss. NBA-worst Phoenix (11-49) topped the record of 15 set March 2- April 1, 2018. The Suns’ last victory was Jan. 12 over Denver. Love played 22 minutes in his third game since returning from foot surgery. He was 6 of 13 from the field. Devin Booker scored 30 points for Phoenix, and Kelly Oubre Jr. had 23. Jusuf Nurkic had 27 points and 12 rebounds, new backup Enes Kanter added 18 points and nine boards in his Portland debut, and the Trail Blazers beat Brooklyn.